Q. Can my employees check their work hours on the Vetro clock? Q. Why do I need to update my TimePilot software? And how can I do it if my computer is not connected to the internet? A. Updates are a fact of life. Software is becoming so complex (the TimePilot software alone has more than 500,000 lines of code) that virtually every reputable software company—from Microsoft to TimePilot—issues updates to their software. In fact, Microsoft has something called Patch Tuesday: it issues security updates to its software on the first Tuesday of every month. TimePilot’s updates occur less often, and have included adding features requested by customers, making changes based on customer suggestions and correcting tiny errors that might affect just a few users. In fact, if you call or e-mail TimePilot for support, one of the first questions you’ll be asked is if you’ve updated your software. At a computer that has internet access, go to this page on the TimePilot web site: http://www.timepilot. You’ll be taken to a page with a list of updates and programs that you can download. Click the button to download the TimePilot IV Central Update. Save the program to your desktop. Next, download the update to the product you use (TimePilot Extreme, TimePilot PC, TimePilot Vetro, etc.) and save it to your desktop. Copy the saved programs from your desktop to a USB drive or burn it to a CD. Use the USB drive or CD to deliver the updates to your computer running TimePilot. Every month we'll offer news about TimePilot products tips on how to use them more efficiently, some of the "cool stuff" our employees have come across and a special deal available only to those who receive this newsletter! If your Vetro runs in Standalone Mode–that is, not connected to a network–all the data is retained in the clock’s memory. It’s called “non-volatile memory,” which means that if power is lost, it continues to “remember." 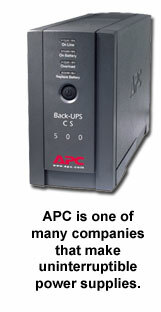 It’s called an “Uninterruptible Power Supply”–also known as a UPS. If your Vetro runs in Network Mode–it’s connected to a local area network–your data and employee setup information also is perfectly safe. If you were running the Vetro Data Manager on your PC, the clock had a “live” connection to the network and every clock-in and clock-out was instantly transferred to your hard drive or server. When the power comes back up, the Data Manager will reset the time and date automatically. To get the discount, click here, visit www.TimePilot.com/newsletter/newsletter4.htm or call us at 1-630-879-6400. What’s that thing on the right? It looks like somebody spilled ink on my screen! For instance, a QR code on a package can direct the smartphone user to a YouTube video giving more details about the product. The billboard in Chicago offers a daily deal at one of the many restaurants in the neighborhood—one day it’s shrimp tacos, another day it’s 57% off pizza and beer.